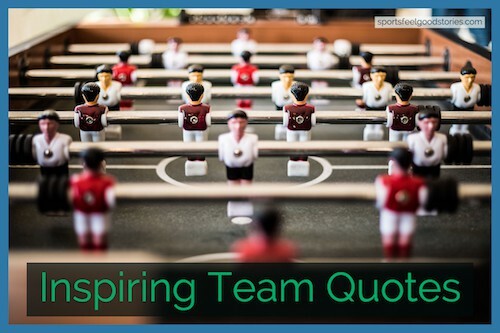 These inspiring team quotes can help you achieve goals that might be impossible for you to imagine doing in isolation. 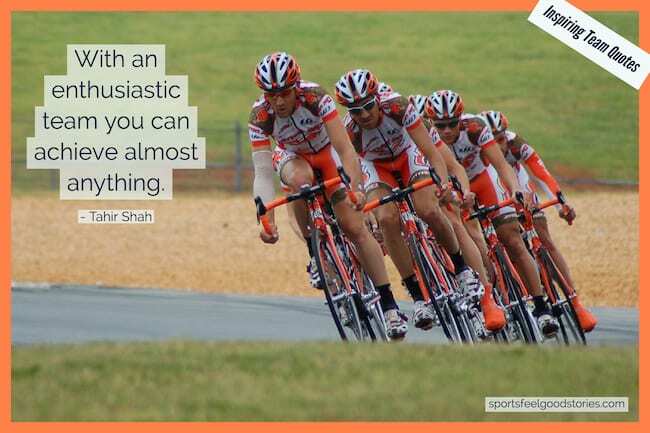 Whether it’s in sport, science or everyday life, teamwork is what helps you achieve success and simplify life. As an individual you will notice significant improvements in yourself when you work as part of a team that is focused on a specific goal. Some of the biggest discoveries and achievements in history are a result of teamwork. 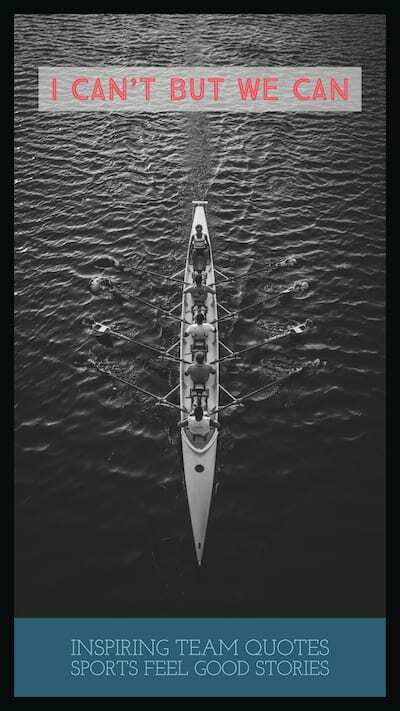 Even the greatest achievers have been successful because they had a team working alongside. Motivational insights have the power to instill the spirit of camaraderie in anyone’s heart. Read them and share them with friends, colleagues and teammates. Teamwork makes the dream work. Definition of a great teammate: a person who makes their teammates look great. I am a member of the team, and I rely on the team, I defer to it and sacrifice for it, because the team, not the individual, is the ultimate champion. My teammates, they put me on their backs and they wouldn’t let me down. If I miss anything about the sport, it’s the camaraderie of teammates. Encourage your people to be committed to a project rather than just be involved in it. The kind of commitment I find among the best performers across virtually every field is a single-minded passion for what they do, an unwavering desire for excellence in the way they think and the way they work. Individuals can and do make a difference, but it takes a team to really mess things up. Both group effort and individual testimony flow from conviction as to the role of people on earth. Team spirit elevates with a broad-based contribution to the group effort. It’s especially important for the high-performing leader to avoid the situation of one or two people being the only contributors during a meeting. The cast, staff, and crew of a live theater work together toward a common goal: a good performance. Thus, theater is necessarily a group effort. When you work in TV, it’s such a group effort, it’s not about you. When we have the confidence that we can orchestrate the group effort required to realize them, we dare bigger dreams. I think even if you’re on a screen or you’re in a play, it’s always a group effort. It’s not just the actors, it’s the editor. Ask not what your teammates can do for you, but what you can do for your teammates. Being there every week for my teammates is really important to me. It’s about accountability.